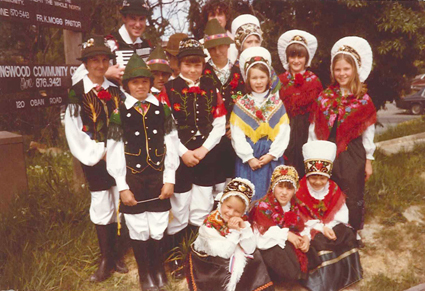 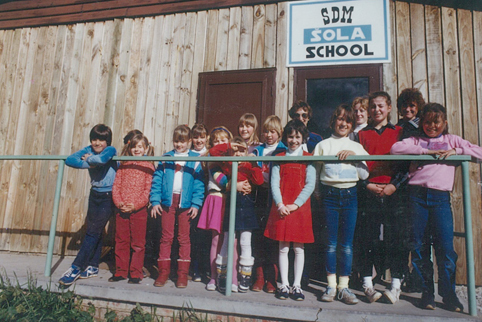 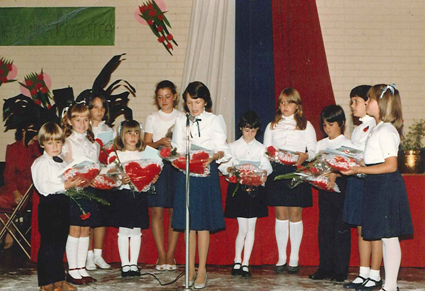 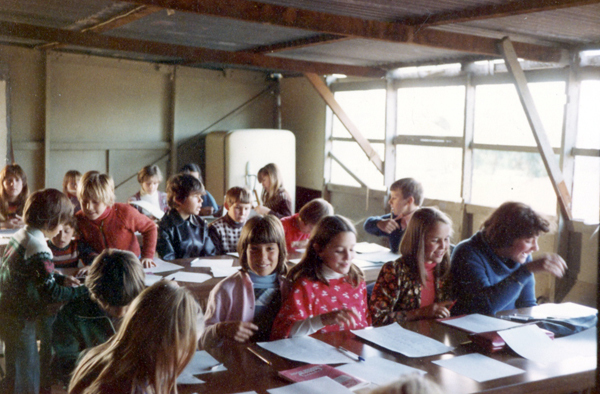 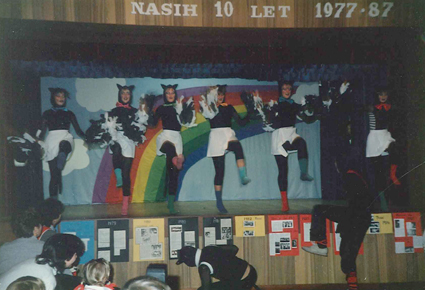 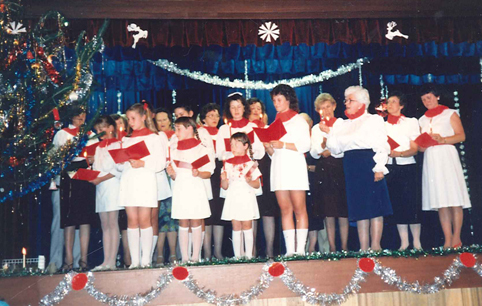 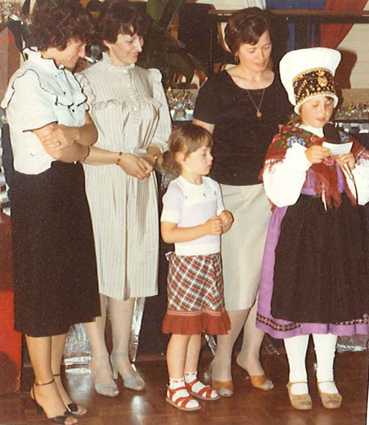 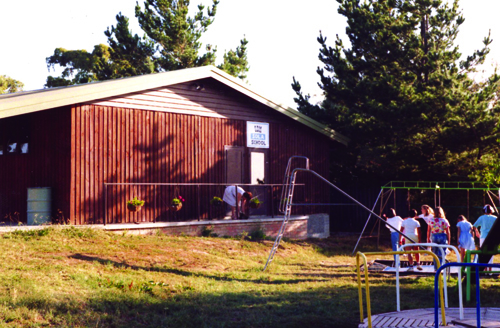 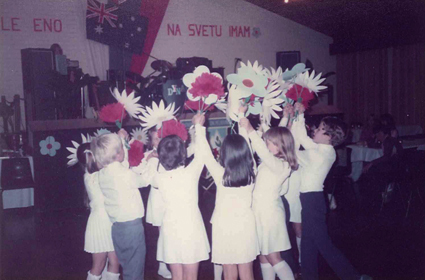 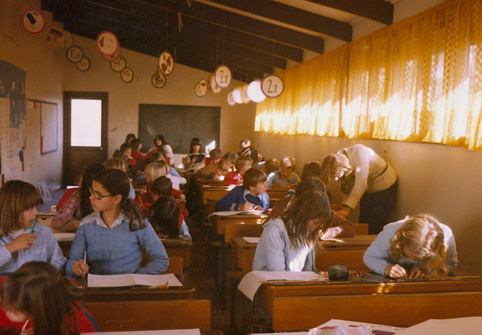 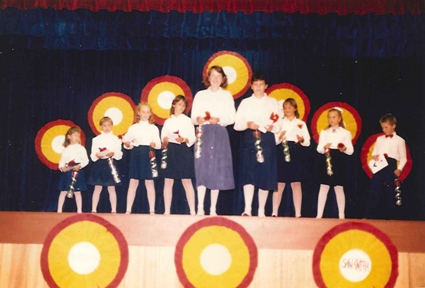 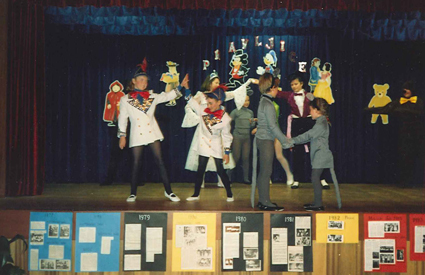 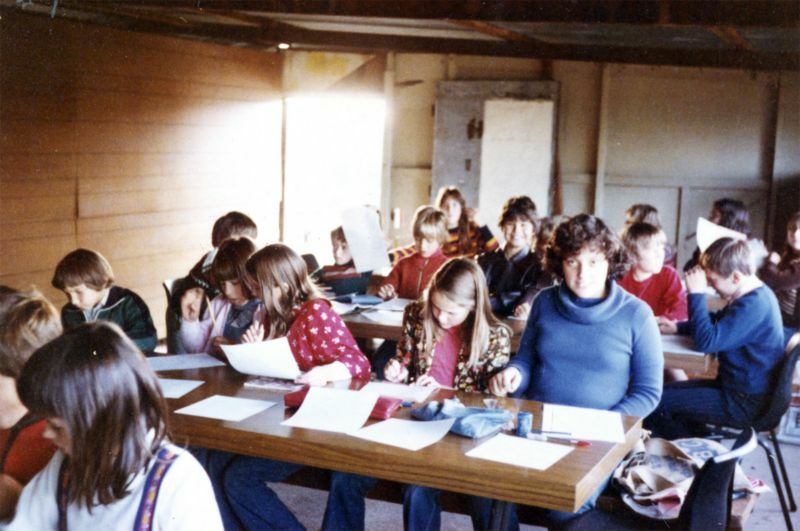 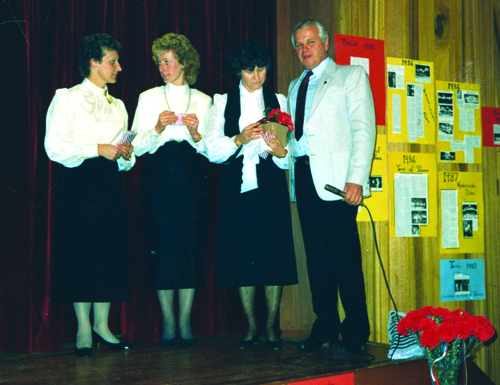 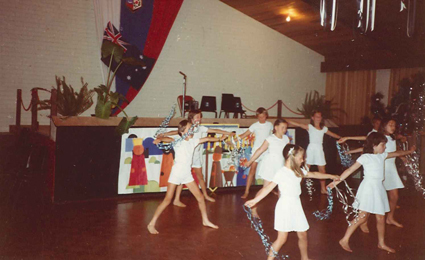 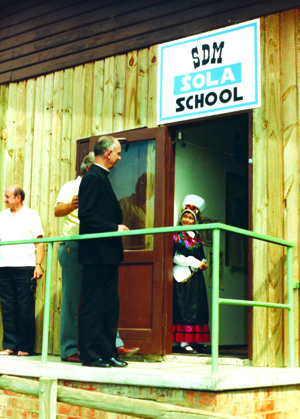 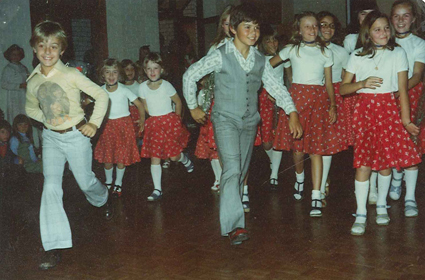 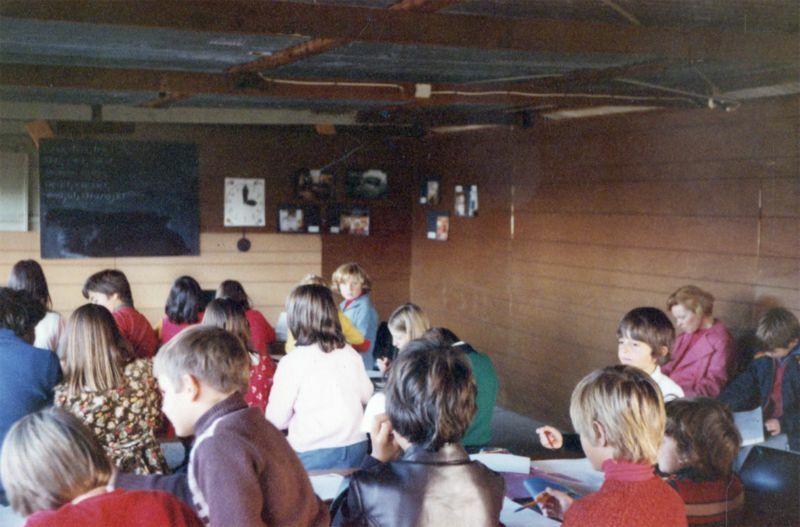 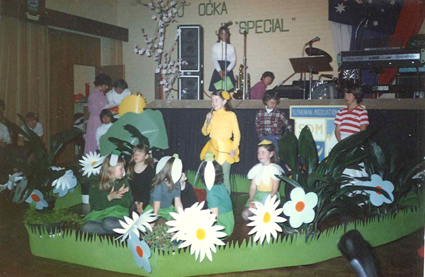 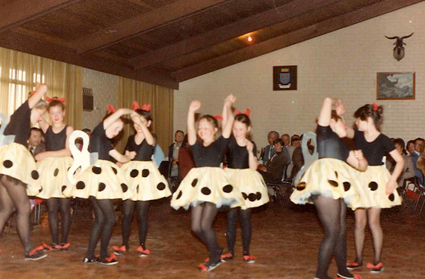 Between the years 1960 until 1996, more than one hundred students enrolled for classes at the Slovenian Association Melbourne Slovenian language and culture school.As an autonomous school it was established in 1977 by the teacher Draga Gelt OAM. 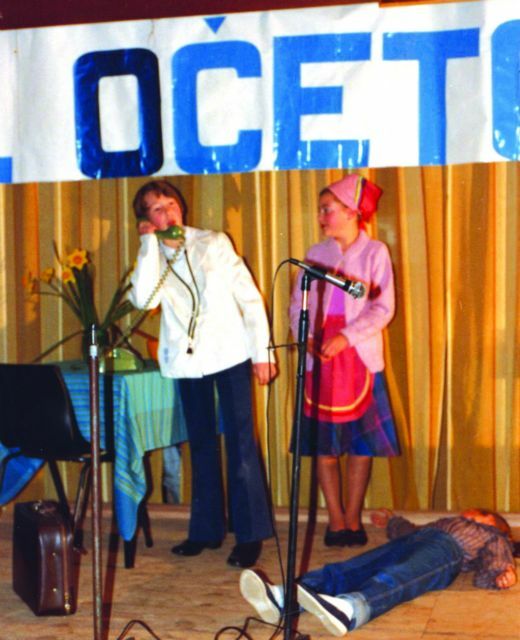 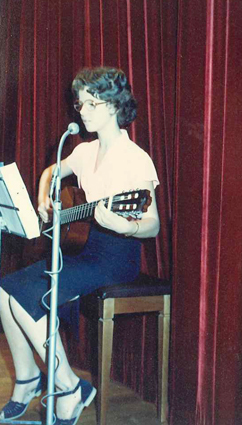 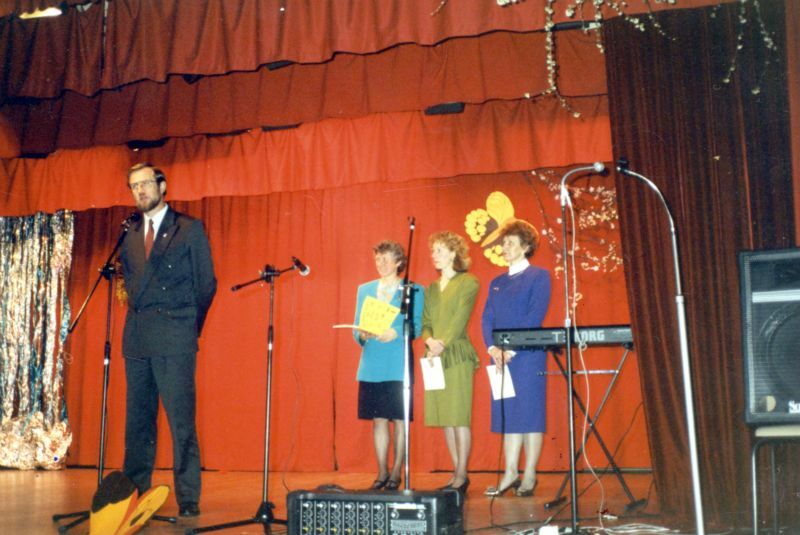 Magda Pišotek joined in 1978, Jana Lavrič in 1979 and Marija Penca in1984. 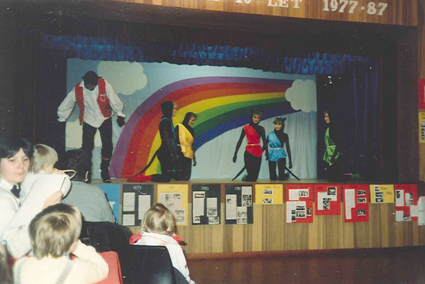 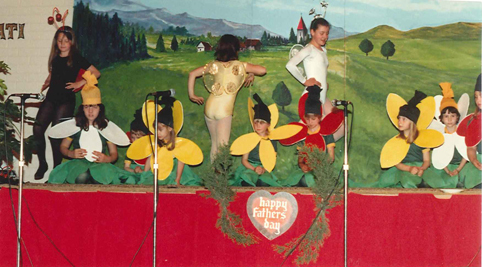 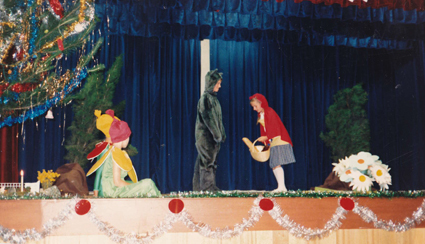 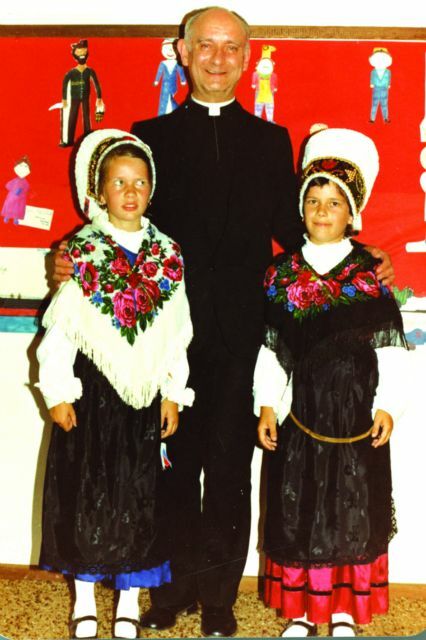 The classes stopped in 1996, but cultural education and performing of the children continues. 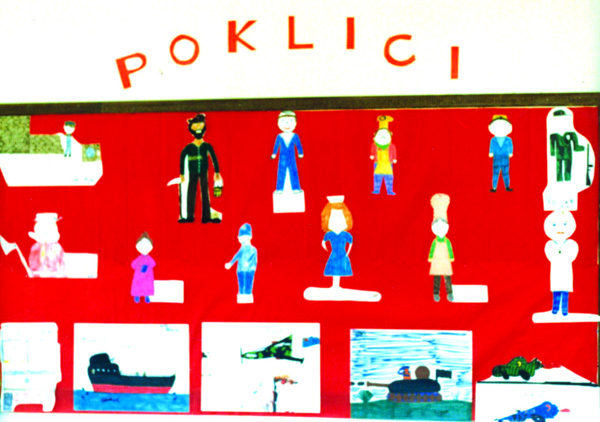 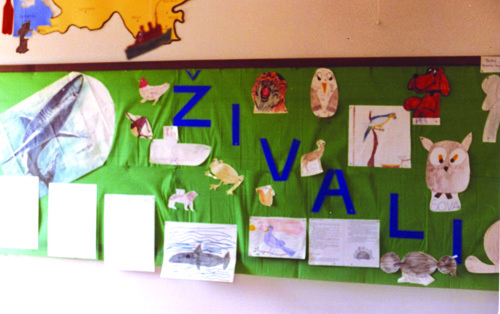 The teachers prepared the curriculum, prepared their own teaching materials and work sheets, as well as classroom displays on various topics from sport, professions, geography, history, Olympics, animals etc. 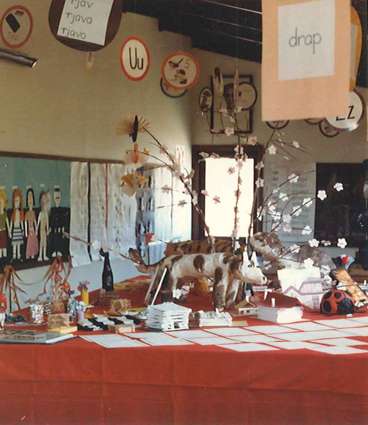 The methods the teachers used included reading, listening, speaking, reciting, word games, role playing, using puppets and other props, learning plays etc. 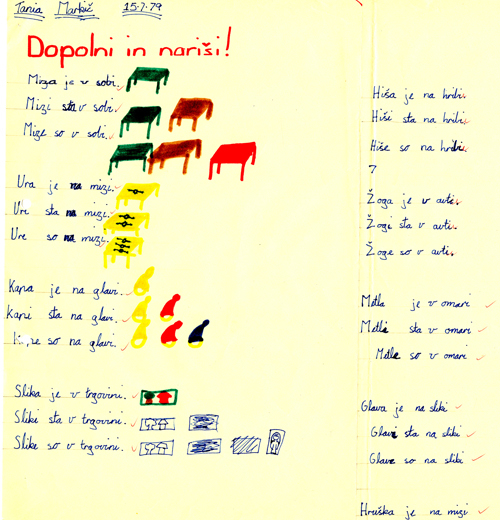 The teachers had three Slovenian language manuals published for the primary level: Učimo se slovensko 1., 2. and 3. del – Let’s Learn Slovenian Part 1, 2 and 3. 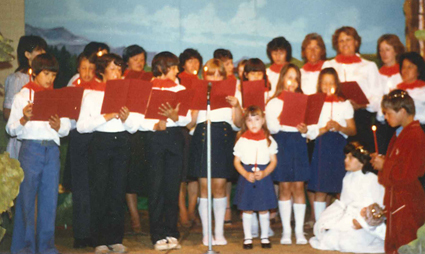 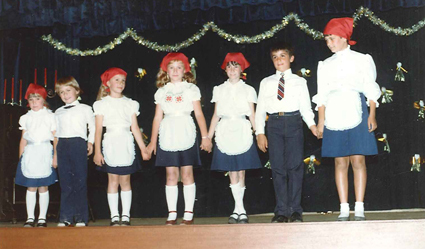 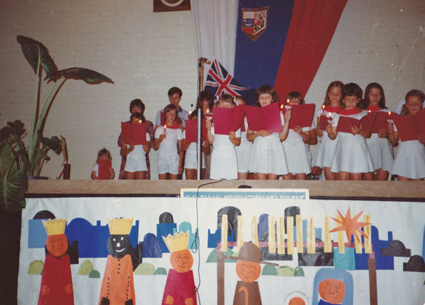 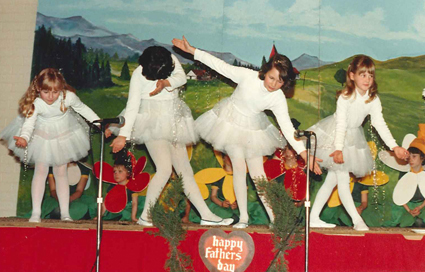 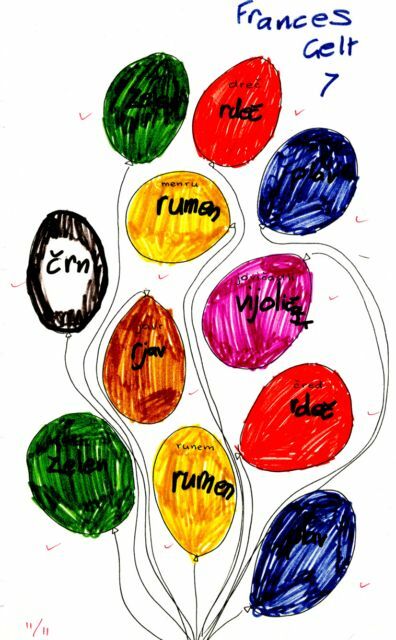 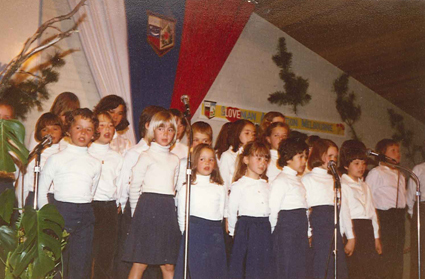 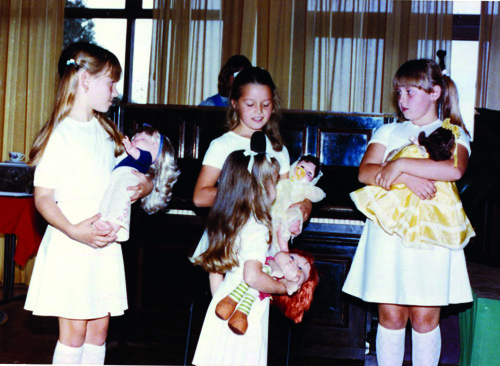 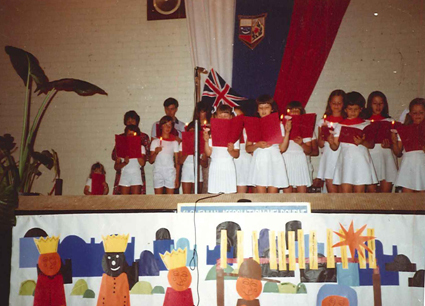 While preparing the cultural programs, the variety of children’s poems by prominent Slovenian children’s poets were recited and dramatized, songs sang and often short plays were prepared: Red Riding Hood, Christmas story, Three Bears, Mariner, Forest trees. 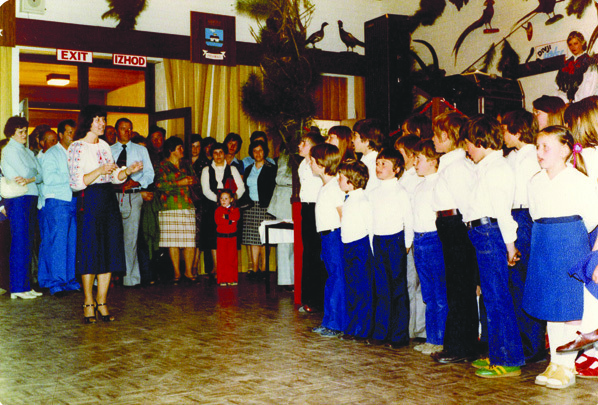 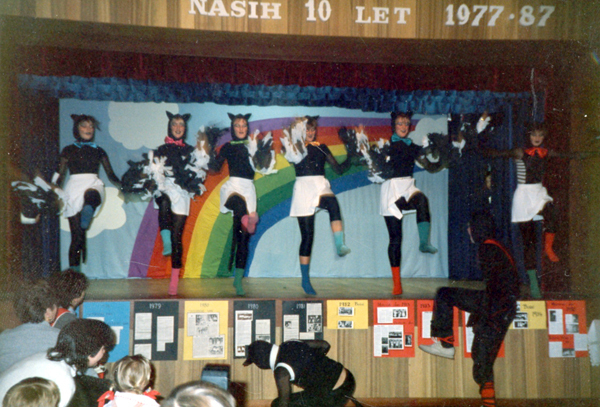 Draga Gelt organized for Pantomimes as well, when a story was read by a narrator and children played, danced and represented the characters: The Mid-Summer Night, a story of the Dandelion; Three Butterflies, Colours of the Flowers, Snowflakes, In the Spring Garden with the dance Ringa raja – Ringa – Rosie, Snow White and Seven Dwarfs. 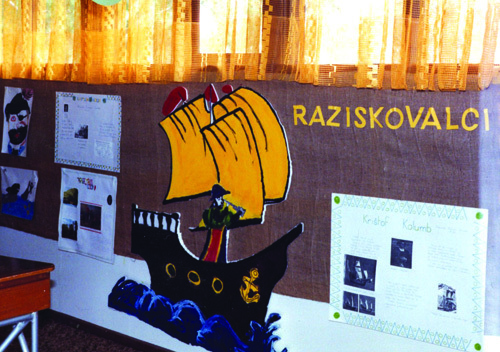 More information about each teacher of the Slovenian Association Melbourne Language School in Australia, the school’s curriculum, children’s work, and many more photographs can be found in the book by Draga Gelt: Chronicle of Slovenian Schools and Slovenian Language Teachers in Australia pp 507 – 556, available at the National University Library in Ljubljana, and Digital Library of Slovenia. 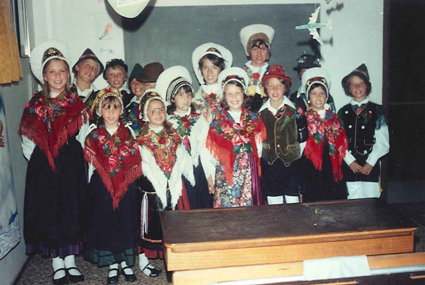 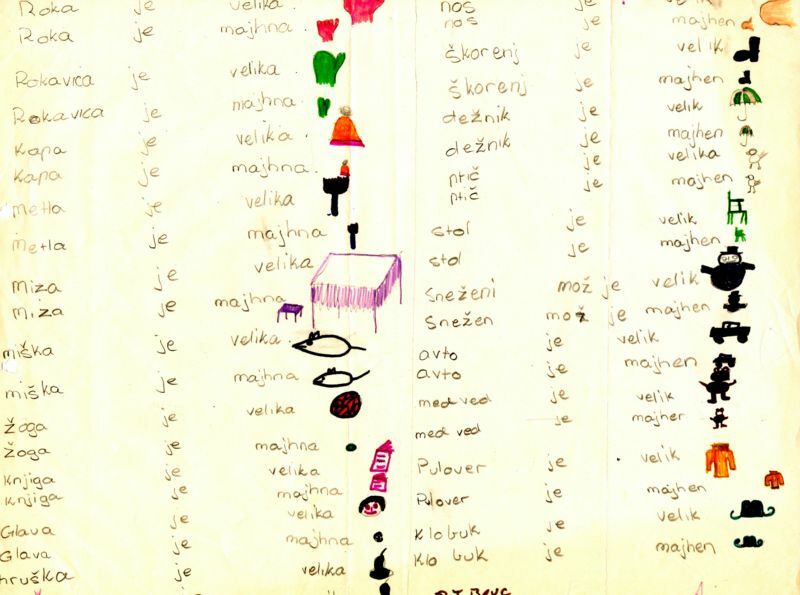 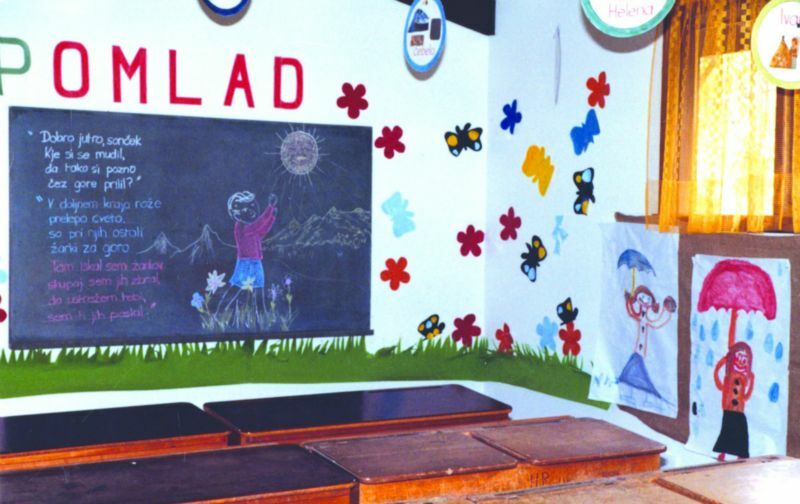 At Slovenian classes were attended by more than 140 students.